With an ongoing influence of Beat Generation writers on music and popular culture, Getintothis’ Joseph Giess reflects on the work of William S. Burroughs. In the examination of the nexus between music and literature, one writer stands out for his relentless participation and collaborations in music. A man who possessed a triptych of identities and reinventions; a sexually liberated gentleman junky, a charlatan mystic and a tortured writer. 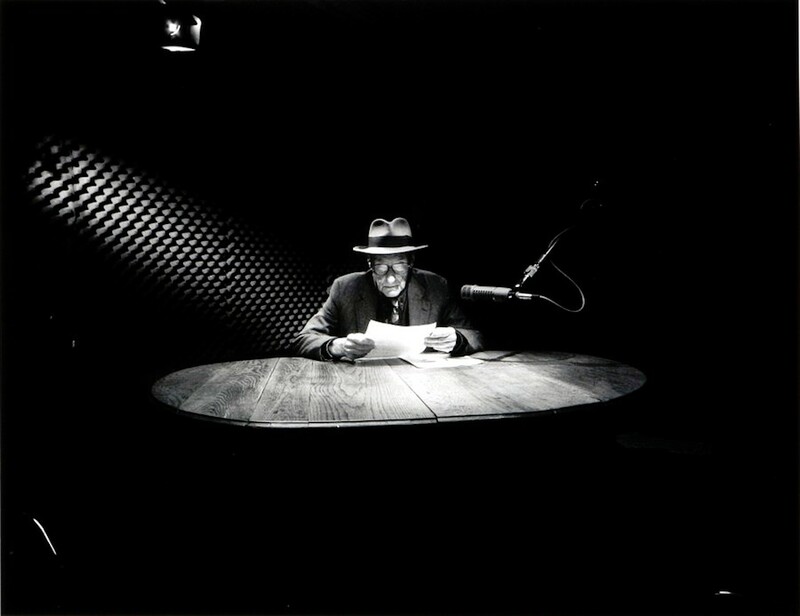 William Lee, El Hombre Invisible, Old Bull Lee or as otherwise known as – William S. Burroughs. He still stands as one of the most iconic, enduring and dangerous figures of literature. The ‘Pope of Dope’ was a man who shot his wife in a William Tell mishap, cut off his little finger in a ‘Van Gogh kick’, received the first liver transplant, out-lived his son and popularised the cut-up technique. Bear in mind, this was a man eminent not just for his reputation but for his ingenious literature of impropriety. Back in 1959, Link Wray composed Rumble, an instrumental track banned from various radio stations because it supposedly encouraged juvenile delinquency. This was the exact same year William S. Burroughs and Allen Ginsberg came under fire in the Boston obscenity trials, for works of fiction that were far more explicitly controversial. This is the introduction of Naked Lunch to the world. 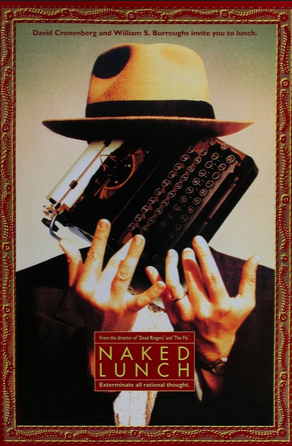 Naked Lunch is still his most recognised and seminal work. A novel that details detective, science fiction and lurid blackly humorous stories, transcending linear narrative in a carnival-esque nightmare. It’s where Joy Division sourced the title Interzone from (the hellish city of Saturnalia in the novel), Steely Dan plucked their name from (a strap-on from a scene in the novel), and the first example and coinage of the term ‘Heavy Metal’. It reads like James Joyce’s successor in layman’s lexicon with a subversive kick. The matrimony of highbrow and lowbrow like never seen before. The question is: why is he still so popular? A ubiquitous figure across popular culture, it feels like his effigy sits in the background in most scenes of life. The man even interviewed Led Zeppelin for American rock mag Crawdaddy and ending up discussing black magic with Jimmy Page. Scrape the skin down to the bone and misanthropy is at the core of Burroughs’ fiction, the basis of pathos and intrigue for the reader. The deeply embedded psychosis of his novels and sordid heroin nightmares is a voice that would be channelled from Lou Reed to Iggy Pop in an elaborate stunt of ventriloquism. There exists a duality to the literary genius of William S. Burroughs, and the flip side is the ‘cut up’. A revolutionary concept that let the work itself adopt an aleatory tone to it, by splicing and combing arbitrary passages together. A method that had it’s genesis with the Dadaists and poet Trisan Tzara but was championed and introduced to William Burroughs by friend and fellow artist – Brion Gysin. Burroughs became enamoured by this method, and even claimed it gave him gifts of prophecy and a deeper understanding of the cosmos. With such an unbridled usage of the method in his novel, he is now completely synonymous with the technique. Are your Top 10 Led Zep tracks the same as our Top 10 Led Zep tracks? There’s only one way to find out! Click here. An intrinsic dynamic to the vanguard, one that should never be forgotten, is his participation on music, not just his influence. Since he was immortalised on the Sgt Pepper album cover and went on to be baptised as Godfather of Punk he soon became a point of interest on everybody’s bucket list and associated with every modern artist; a cameo in a U2 video to collaborations with art pop troubadour Laurie Anderson, collaborations with hybrid industrialists Coil and Throbbing Gristle. Even Kurt Cobain himself, composed a sprawling disorientating track entitled The “Priest” Is What They Called Him. that was sutured up by the stalwart wordsmith. The varying projects continue to add up, an odd contribution to The X-Files soundtrack in a collaboration with R.E.M, he wrote the book to The Black Rider, a musical collaboration with Tom Waits (and later released as a Waits album) and then finally, the incredible Dead City Radio an album which showcased his readings behind the music of John Cale, Donald Fagen, Lenny Pickett, Chris Stein, and art rock behemoths Sonic Youth. It’s plain to see that the idiosyncratic character who kept a revolver and ferret with him at all times in his room at Harvard was always going to be unparalleled, from when he very first appeared in the scene until his death. In a thorough posthumous reflection nobody comes even close to rivalling his footprint on popular culture. UPDATE: The book launch for a new book, Mentored By A Madman – The William Burroughs Experiment, takes place at Liverpool ONE Waterstones at 6.30pm on Thursday, 9th June. Author Andrew Lees will be in conversation with Mike Morris, co-director of Writing On The Wall festival.